Last Friday I had the wonderful chance to see David Gilmour (Pink Floyd) live at his "home", the Royal Albert Hall in London. 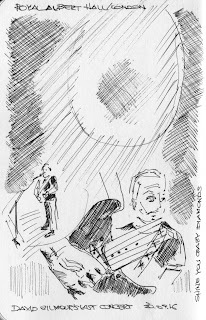 I knew I wouldn't be able to draw something "acceptable" during the concert - though I've tried, it was more like a "blind sketch" as you see, it looks wildly ugly. 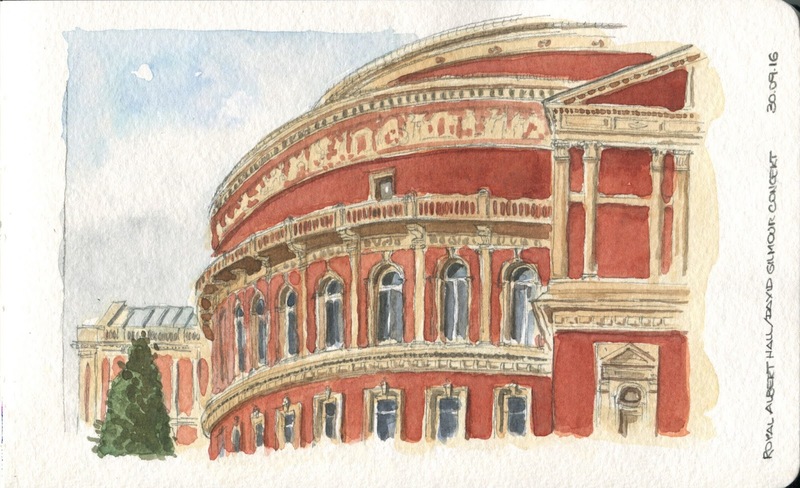 So to register this special day for me, the last David Gilmour's tour concert (who knows, maybe his last concert at all), I did this sketch of this gorgeous building, the Royal Albert Hall.